Bluefire Consulting are recruiting for an experienced Business Liaison Manager/Key Account Manager to develop relationships with brokers, partners and other third parties to work for an established Insurance company. The Business Liaison Manager must have previous experience of building broker relations within the insurance field preferably within a sales or relationship management role. Knowledge of latent defects insurance is required for this position .The successful applicant must be able to demonstrate working knowledge of FSA regulations and must have a full driving licence to be able to travel, as required, to visit third parties. 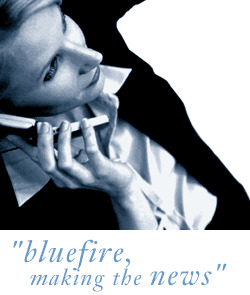 Bluefire Consulting is an equal opportunities Employment Business/Agency specialising in Insurance recruitment on a UK wide basis.